air joe is proud to serve the Warrenville community! We are proud to be a part of this community, serving your heating and air conditioning needs: air joe is listed in many directories under titles such as : Warrenville Heating Contractors, Warrenville Heating, Warrenville Air Conditioning, Heating Repair, Air Conditioning Repair, Warrenville Heating and Cooling Contractors, Rooftop HVAC Repair, Ductless AC Systems, Boiler Repair and Warrenville Heating and Air Conditioning Contractors. We are here for you whether you need furnace or air conditioner repairs, heating and cooling estimates, equipment replacement or new installation of a furnace, air conditioner, heat pump, rooftop heating and cooling or comfort products to improve the air filtration for your home or business. About Warrenville, IL - Happy to be your hometown Heating & Air Conditioning Contractor! Warrenville is a DuPage County, Illinois city, and as of 2010, its population was roughly 13,200. It is included in the Chicago metro area and is part of the state’s Technology and Research Corridor. The downtown area is located at the intersection of Batavia and Butterfield Roads, and the company Durham School Services is based in this community. The climate of this area has four distinctive seasons, and it is prone to severe weather that can range from powerful winter storms to tornadoes in the summer. 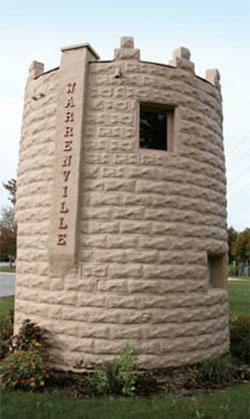 There are a variety of attractions located in Warrenville that may be of interest to residents and visitors. The Youngstars Theatre and Regal Cantera are popular attractions for movie and other performance enthusiasts, and The Courtyard Banquets is a popular location for events. Warrenville Grove Forest Preserve and Cerny Park are also popular outdoor recreational areas located in the area.